Ian K. Smith, M.D. 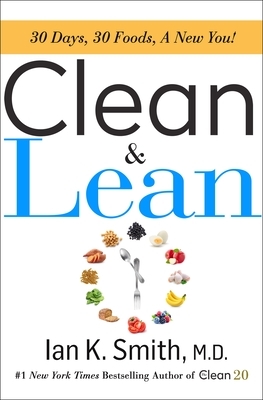 is the #1 New York Times bestselling author of SHRED, SUPER SHRED, THE SHRED POWER CLEANSE and other top-selling titles. He has created two national health initiatives--the 50 Million Pound Challenge and the Makeover Mile—and has served two terms on the President’s Council on Fitness, Sports, and Nutrition. A graduate of Harvard, Columbia, and the University of Chicago’s Pritzker School of Medicine, Smith is an avid fitness enthusiast and sportsman.